We are a professional kelly manufacturer and supplier in China. Our oil drilling kelly, a type of drilling equipment, is driving section of the whole drill stem. We can provide both square kelly and hexagonal kelly for you to choose from. These products are strictly manufactured in accordance with API Spec7-1 and SY/T6509-2000 standard. Rugao Yaou Company, founded in 2004, is an oil drilling equipment supplier. Through our continued efforts, we have received the certificate of the American Petroleum Institute (API). Thanks to our high quality and low prices, our kellys, drilling parts, and shearing machines etc. are very popular in America, Kazakhstan, Uzbekistan, Egypt, Turkey, India, to name a few. We are looking forward to working with you. Please contact us for further information. Our heavy weight drill pipe, a type of oil drilling equipment, is produced in accordance with API Spec7-1 Standard. 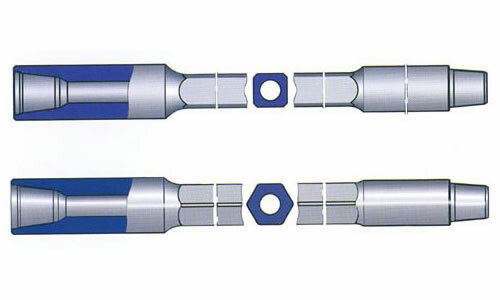 Its wall thickness is between drill pipe and drill collar, and its structure is similar to drill pipe.